The simple test method using the VISCOSITY COMPARATOR is intended to assess the critical physical property of lubricating and hydraulic oils, i.e. viscosity. 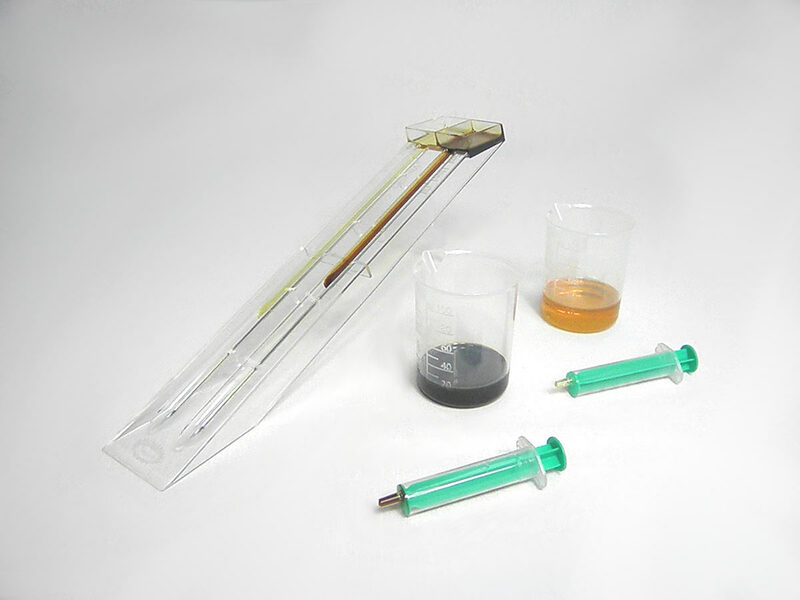 The device provides almost immediately and directly on-site the visually observable information whether viscosity of the oil sample is in OK range or not. Measuring time: about 3 min. Two oil samples of the same temperature (fresh und used) are compared in the VISCOSITY COMPARATOR. Depending on the difference in the flow behavior of the oil samples and by noting the end-position of each sample, the viscosity of the used oil can be determined on the principle “go/no go”.